Wani Azahar involved experts from Infineon Technologies, Cotton On Group, and Singapore Airlines to unearth the 3Cs behind a great corporate wellness programme – contextualisation, control and comprehensiveness. 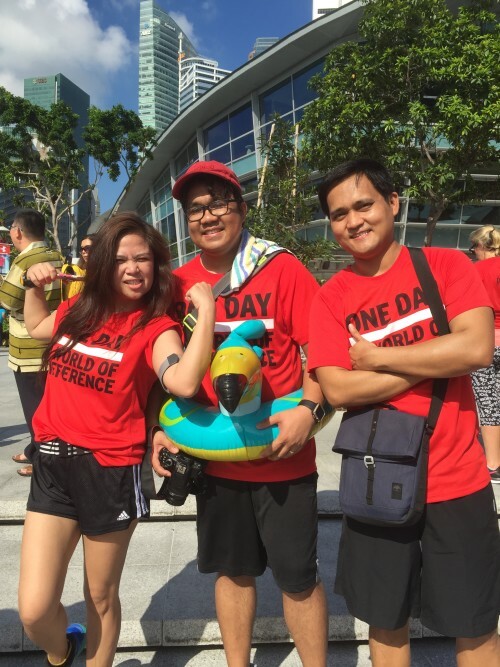 When Human Resources spoke to Butch Clas, HR director for SEA and ANZ at Dow Chemical, we found out how healthcare and wellness initiatives help to improve employee satisfaction in various dimensions. “We believe that a healthy body and mind will lead to improved productivity, and hence, it is important to us to focus on initiatives that will make employees happy at work,” he said. In fact, Dow Chemical’s yearly internal employee attitude survey has shown an improvement in the stress reduction by 7% – supporting why having a corporate wellness programme is important. Not only does it benefit the employees, it also significantly benefits the business. However, one of the biggest problems HR faces on employee wellness programmes is the lack of participation. In fact, 52% of employers surveyed by Limeade admitted it was the biggest challenge, with 49% citing difficulty in maintaining interest and activation with 36% of respondents feeling like it’s a battle to help employees develop long-term healthy habits. 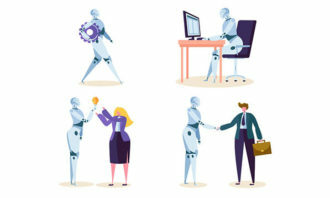 With that, Human Resources took it to the experts and spoke to Cotton On Group, Infineon Technologies and Singapore Airlines to find out the 3C’s behind a great corporate wellness programme – contextualisation, control and comprehensiveness. 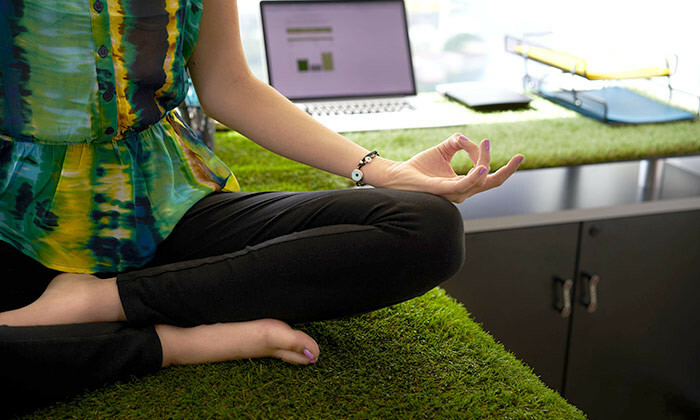 As Millennials take over the workforce, it provides HR a different set of expectations to meet when it comes to wellness. This change in the talent landscape makes it all the more crucial for HR policies, strategies and practices to evolve and address the current and upcoming needs, as well as, main interests of the workforce. For example, a look at how 41.29% of Millennials admitted to spending more on coffee than they invested in their retirement might be an indication of what truly matters to a younger workforce. Similarly, HR should also look into what actually appeals to different markets due to a diverse workforce. Australian retail chain Cotton On Group is an Australian-born fashion retailer with a suite of seven brands; Cotton On, Cotton On Kids, Cotton On Body, Factorie, Rubi, Typo and Supré. These brands cover categories including men’s and women’s apparel, childrenswear, footwear, stationery, giftware, sleepwear, activewear, teen and youth fashion in addition to its philanthropic arm, the Cotton On Foundation. 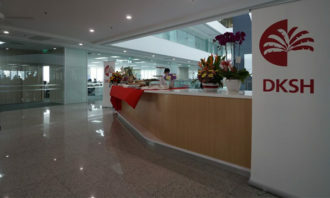 With over 1,500 stores, the company is present in 19 countries and a global team of more than 22,000, including Singapore, Malaysia and Hong Kong. Launched in Australia in 2009, Cotton On Group’s health and wellness programme rolled out to global markets the following year – and landed on Singapore shores in 2013. The programme is led by Luke McLean, the health and wellbeing manager who is based in its global head office in Geelong, Australia. The health and wellbeing department sits within its people and performance function, and is focused on ensuring its team is happy, engaged, motivated and healthy. Although the programme hailed from Australia, the firm’s health and wellbeing ambassadors in each region work with McLean to roll out a regionally and functionally specific programme to tailor to the local markets. For example, its operations in Asia span four different countries, all with diverse needs. For this reason, it has arranged celebrations for different cultural events such as Deepavali or Hari Raya (and given it is Aussie born and bred, Australia Day! ), as well as tailored offerings such as country-specific medical plans and counselling. With a great understanding of how each team member has different interests and needs, the firm finds it is paramount to deliver tailored programmes to its employees. Some of these are designed for individuals such as personal training sessions at in-house gyms or one-on-one health and well being coaching across its hubs. Other programmes are rolled out for its employees worldwide, but tailored according to location, including initiatives such as digital health education or well being events organised in-country. Recently, the organisation rolled out minigolf tournaments and boot camps on the beach – all of which received excellent participation rates. Similarly, the country hub office in Asia is no different. Meditation and Zumba classes, team hikes, mindfulness education, fruit drops to stores and the distribution centre and the Run World fun run for charity have all been very popular programmes. In fact, the team recently held yoga sessions and provided massages for team members, as they geared up to take on Lunar New Year trade. Catering to everybody’s wellness journey, the organisation has found that a one-version-fits-all approach doesn’t work. While the programmes are all optional, the group found a vast majority of its staff globally are focused on health and wellbeing – across body, mind and spirit – and therefore want to engage with the different initiatives it has offered. When the organisation first began to design the programmes, employees were very much involved. “We’re a retail business, so we think of our people like our customers – we ask them what they expect and then deliver this. We gathered this information through surveys, focus groups and general observations, and we are constantly re-evaluating our programmes so they remain relevant,” McLean said. Depending on the programme delivered, the firm receives up to a 65% participation rate from its employees. According to the group, team-based games, challenges or sessions seem to be particularly successful as they provide an opportunity for people to engage with others in a positive and energetic way. We’re a retail business, so we think of our people like our customers – we ask them what they expect and then deliver this. This further builds healthy and productive relationships both inside and outside of work. McLean noted how maintaining your team members’ health and wellbeing has many benefits. It helps team members to build a connection with their peers and increases teamwork and productivity as a result. It helps retention rates, instils a greater sense of optimism around the different workplaces, and helps to attract world-class talent to join the team. “Since day one, our people have been our biggest priority – we want to make sure we create experiences and work environments they love. Our health and well being programme is an extension of this; it’s a way to support our team members and set them up to perform at their personal best every day. Our overall goal was simply to energise our teams by providing engaging, inspiring and accessible wellbeing tools,” he said. With Singapore’s medical inflation rate reported to be at 15% last year, healthcare costs are on the rise and a worrying factor for many. Other than the high costs of insurance and staying healthy, many professionals require different types of healthcare because of lifestyle choices, habits and behaviours. While Medisave can primarily be used for hospitalisation bills, screenings and procedures, some may require more assistance than others – and this is why it’s important for employees to be given the control to choose the type of healthcare they require. For the semiconductor and system solutions provider Infineon Technologies Asia Pacific, it believes the three important goals of a great corporate wellness programme is to protect, create and sustain towards individual health literacy, health-oriented leadership and healthy living. Understanding the importance of taking ownership over your own health, the organisation involves its employees in surveys and focus groups, as well as form cross-functional teams to develop the activities and programmes and to introduce its wellness programme – Healthy Active People Programme for You (HAPPY). Launched in 2014, HAPPY is a holistic programme which integrates flexible benefits, medical and wellness activities that benefit all employees as part of the organisation’s overall health and care management programme. On a company-wide level, employees can enjoy free basic health screening annually. On a more personal level, staff are given the option to top-up to receive different tiers of more comprehensive coverage. Employees can customise various components of their HAPPY programme according to their personal and family health needs. On top of being given a wide range of activities to participate in, employees are also able to choose the way they want to utilise their flexible benefits. Some of its wellness activities include social events such as nature walks, health talks and competitive sports tournaments for employees seeking a healthy and active lifestyle. As for employees with specific needs, the organisation offers targeted intervention programmes addressing chronic illnesses, weight management and smoking. With the implementation of HAPPY, the firm is seeing increasingly more self-organised activities such as running groups and badminton teams being formed. The company also shared there is keen participation in company organised sports tournaments at both inter-department and inter-company levels. When asked about what sparked the idea behind HAPPY, an Infineon Technologies Asia Pacific spokesperson explained how the firm aims to incentivise good health rather than insure for bad health. The firm wanted to employees to be responsible for their own health and wellbeing. Adding on, he said that the company’s leaders are acting as role models of healthy living for its employees – with the introduction of a comprehensive health-oriented leadership training programme focusing on sustainable mental and physical fitness. Noting on how HAPPY has yield positive results, the spokesperson shared how the annual health report from its medical provider has shown an improvement in organisational health and wellbeing. With feedback being paramount to measure the effectiveness of the programme, he said the organisation monitors take-up rates, conducts post-programme surveys, and reviews health reports and statistics from its medical provider to understand the programme better. In addition, employees will give feedback through the “Great Place to Work” survey every two years; or more instantaneously via its in-house social platform. Moving forward, the company plans to look into the use of technology and an integrated IT solution to achieve higher rates of participation. For example, it may implement kiosks with simple UI for shop-floor employees to access easily, and a point-of-sale system in the canteen to collect dietary data. It will also continue to gamify its reward programmes and activities to increase the fun factor – and, of course, never forgetting to seek employees’ input for better insights when it designs activities which are in line with staff’s interests and needs. Other than that, events which successfully integrate work and family life are a favourite among employees with children. One example is its “Little Ones at Work” programme which sees both employees and their children enjoying fun activities while the kids are given the opportunity to learn more about their parents’ workplace. 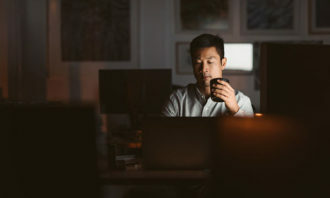 With only one-tenth of your workforce equating success at work with high performance and productivity, this reveals a disconnect between the expectations of employees and their employers. Similarly, each employee comes with different interests, lifestyles, health and wellness needs – and for a corporate wellness programme to work, it needs to appeal to the majority of the workforce. As the flag carrier of Singapore, and named the best airline in Asia last year, Singapore Airlines puts great emphasis on staff wellness and has always encouraged its staff to participate in sporting and recreational activities, and wellness programmes to keep the mind and body fit. With the airline sector being a dynamic industry, its employees are always seen as working in a fast-moving environment. Front line staff have to interact with various customers and deal with issues, and with more than half of its staff working on the front line, Singapore Airlines is dedicated to ensuring staff are mentally and physically fit to tackle the challenges at work. This is why Singapore Airlines believes in providing a comprehensive wellness programme that goes beyond health scans. Launched in early 2012, the SIA wellness and health programme (WHP) aims to promote healthy lifestyles and employee wellbeing. Over the years, many activities under the WHP have been offered to employees. Ranging from relevant talks to sports activities as well as even a helpline service, the programme serves to care for the total wellbeing of its employees. Not only that, the organisation received a $23,068.77 workplace health promotion grant from the Health Promotion Board to propel its WHP. For the past two years, SIA employees have seen a range of programmes that were organised to promote healthier lifestyles. These included talks and workshops on general health, healthy eating, sports such as aerobics or picking the right running shoes and healthy cooking. Sports activities undertaken by the company included the SIA Group athletics meet, SIA Group road run, the training for runners activity and the SIA open badminton tournament, among others. Other workplace health initiatives rolled out for employees include free annual basic health screenings, a counselling helpline service, colorectal cancer screening and the launch of SIA’s wellness and health online community for staff to share health and wellness tips. Other than in-house activities, SIA also encourages staff in setting up and joining sports and activities clubs outside their working hours. Some of the more prominent initiatives include its Air Runners’ Club, Cabin Crew Performing Arts Circle and the Community Service Club. Staff from various departments also organise special events such as healthy eating talks. In addition, Singapore Airlines has also invested in the building of recreational facilities for staff to enjoy sporting activities and games. In 2006, the airline opened the SIA Group Sports and Recreational Club next to the SIA Training Centre. Staff and their families are able to play sports and games and indulge in recreational activities at an affordable membership fee. Facilities in the clubhouse include a gymnasium, badminton halls, table tennis, swimming pool, video game room, karaoke rooms and a members’ lounge. Being part of the airline industry, SIA finds it extremely important for its pilots and cabin crew to be given sufficient rest during layovers and after flights to achieve their full potential. According to its Sustainability Report FY2015/16, cabin crews are given in-flight rest where mandated, according to the Fatigue Risk Management System guidelines stipulated by the Civil Aviation Authority of Singapore. Not only that, the national carrier constantly shares information on fatigue and the management of it with its cabin crew to ensure they have sufficient rest before each duty. This is done through channels such as online e-courseware for employee training. We recruit dynamic individuals from diverse backgrounds and we are committed to providing our employees with equal opportunities to achieve their full potential. Adopting a holistic approach to the staff’s work experience, cabin crews are encouraged to participate in extracurricular activities (ECA). Covering a wide range of popular interests, crew members are able to choose from a comprehensive list of activities. For those looking to find balance between work and their artistic talent, they may favour creative activities such as the music society or the cabin crew performing arts circle. On the other hand, those who enjoy spending time outdoors can join various activities such as the cabin crew tennis circle or basketball club or Golf Circle to maintain their active lifestyles. The ECAs boast a total membership of more than 8,000 cabin crew and ground staff in the cabin crew division, and provide excellent platforms for SIA’s crew to achieve work-life balance. “People will rarely work at their maximum potential under criticism, but honest appreciation brings out their best.” — Dale ..